Home office for a large family. 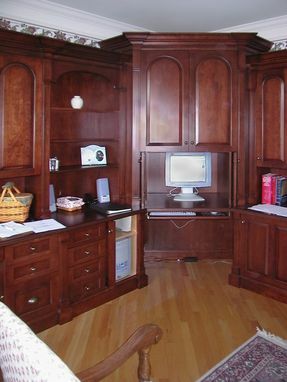 The central area houses the computer monitor, which can be covered by retracting doors. The computer tower also is behind a retracting door. 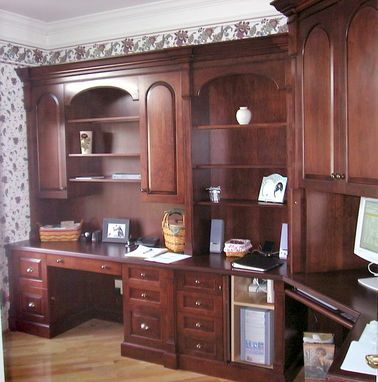 Two desk areas were built into the piece.